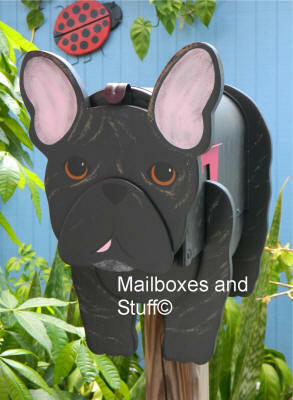 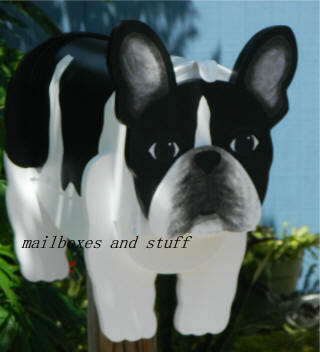 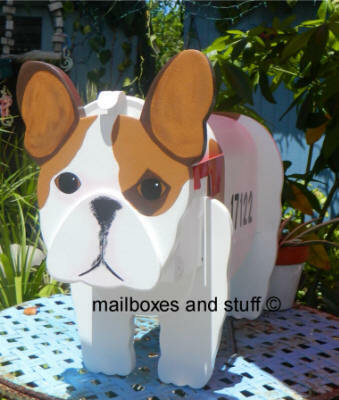 Our Hand painted novelty mailboxes look great anywhere and make wonderful Dog theme gifts. 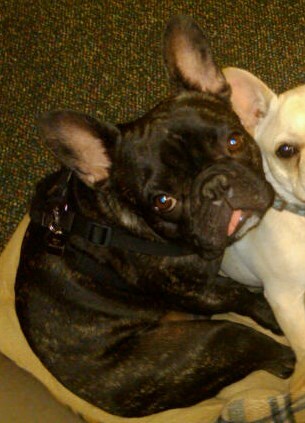 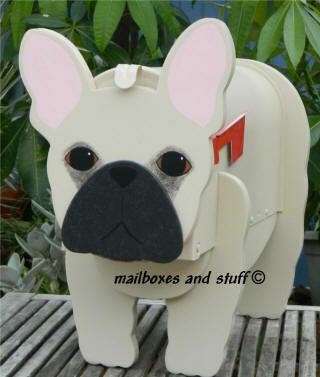 Perfect for Frenchie Lovers! 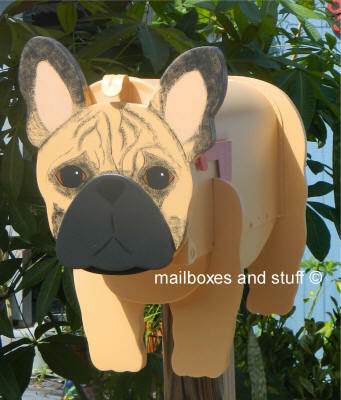 SOOOOOO cute .. truly a work of ART! 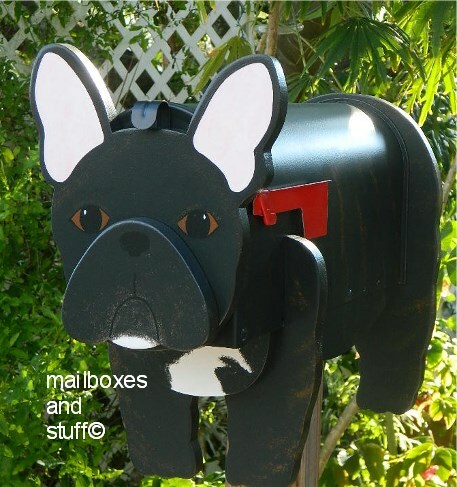 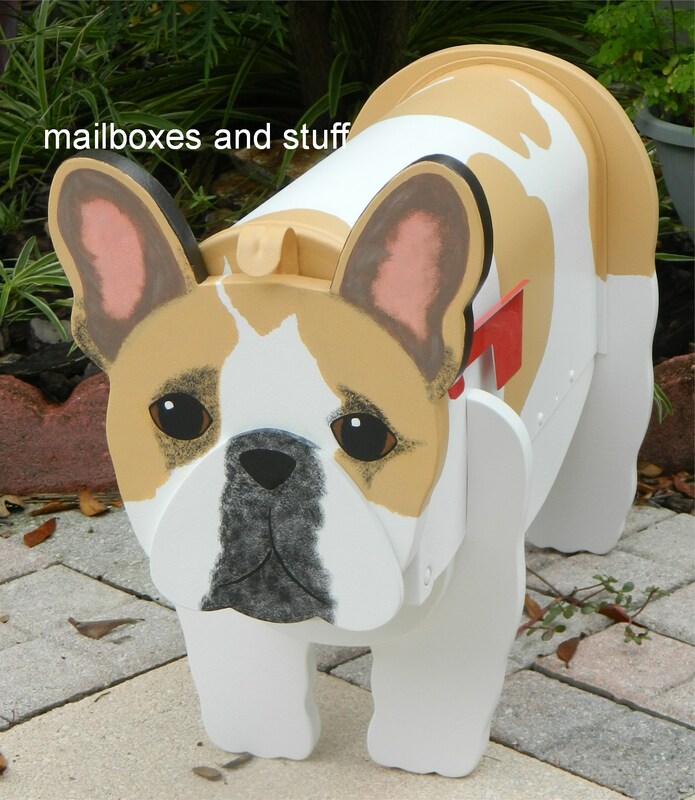 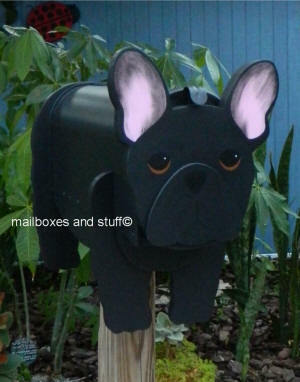 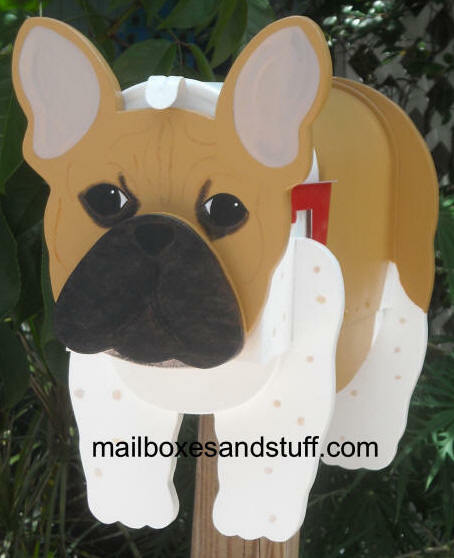 Any solid color French Bulldog Mailbox is $165 . 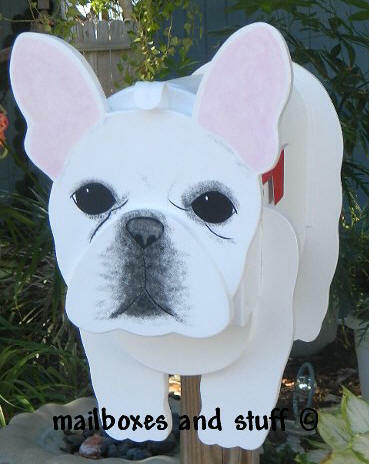 You can select tan, white or black .. details will be added such as ears eyes, etc. 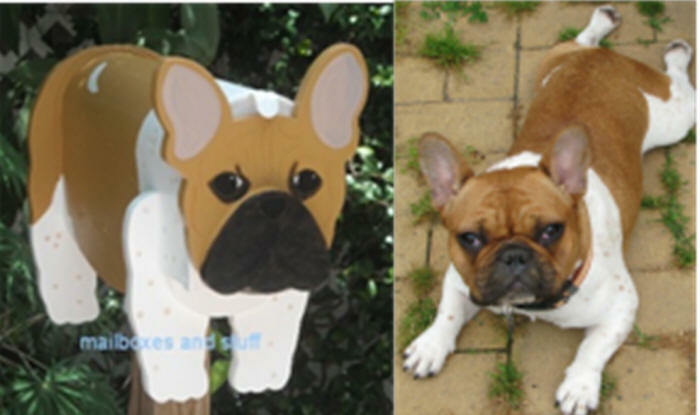 Another couple Custom painted cuties! 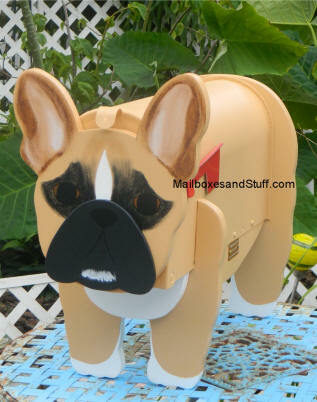 This custom made and painted French Bulldog mailbox was designed for and painted to look like Piper !